These Banana Bread Muffins taste just like moist banana bread, but in a far more portable shape. Their portability makes them the perfect pack-along breakfast or midday snack! Best of all, the whole family loves these! Our kiddos will eat 2 or 3 at a time which is perfectly fine by us because they require only 1 bowl and about 10 minutes to whip up. 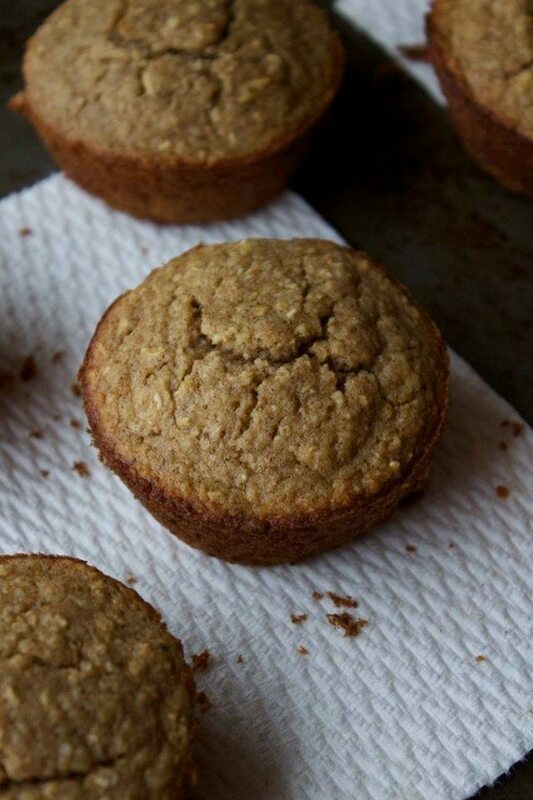 After a little quality time in the oven, these naturally sweetened muffins come out wholesome, hearty, and naturally sweetened of course! Preheat oven to 350(F) degrees and prepare a muffin tin with non-stick spray. Mix the dry ingredients in a large mixing bowl. Add the wet ingredients (including banana) to a high speed blender for about 30 seconds then stir into dry mixture. Once everything is evenly combined, divide the batter into prepared muffin tin. Bake for 17-20 minutes of until edges are golden brown. Carefully remove from oven and let cool before serving.